Jesse Larsen holds an MBA in Finance from Florida Gulf Coast University with 12 years of experience in the banking industry. 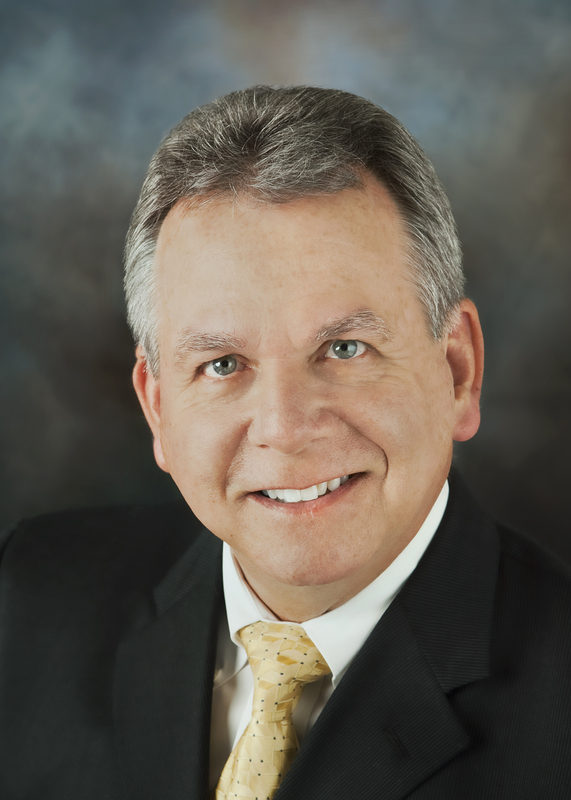 He serves as Vice President, Business Banking Credit Manager at Florida Community Bank in Naples. 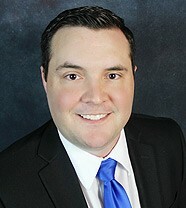 Jesse was elected in 2018 to the Collier County Board of Trustees for Residential Options of Florida. Jesse will combine his knowledge and experience to support the financial goals for the organization. A major focus will be the development of relationships to advance the mission of ROOF in our community. His passion to serve includes mentoring at the Children’s Network of Southwest Florida, as well as coaching basketball for the YMCA and flag football at Fleischman Park. Mr. Slabaugh, an insurance and risk management professional in Naples for the past 38 years, is a former risk manager for the NCH Healthcare System, independent business risk consultant and currently is the senior risk advisor and co-owner of Concierge Insurance Partners, LLC, a private commercial insurance agency in Naples Florida. Outside of the numerous business professional and civic organizations he is involved with, he was a founding member of the East Naples Kiwanis Club and serves as a 20th Judicial Circuit Court small claims mediation volunteer the past 11 years. After being invited to join the board, he was drawn to the opportunity to serve based upon his personal experience with Muscular Dystrophy and is looking forward to contributing to the direction and success of their mission. 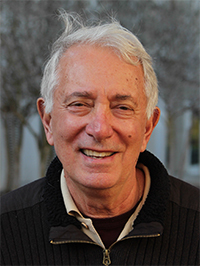 Dr. Frank Nappo of Naples has a longstanding involvement in volunteering and public service. He has served as a board member of the Naples Art Association at Von Liebig Art Center since 2005 and was President of the association’s board for four years. He is the current President of Drug Free Collier, for which he has served on the board for the past six years; and is President of Immokalee Housing and Family Services, on a board he has served since 2008. He is also a member of the Immokalee CRA (Community Redevelopment Agency) and a Board Member with R.O.O.F. (Residential Options of Florida). 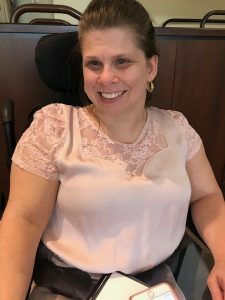 Nicole is a professional in the field of social work and a self-advocate with extensive experience empowering individuals with disabilities to advocate for themselves. She has a Bachelor of Science in Social Work from the University of Central Florida. Her skills include public speaking, facilitating groups and workshops, and connecting individuals to resources. She uses a person-centered, culturally competent approach to assisting clients. In addition to serving on ROOF’s Collier Board of Trustees, Nicole currently volunteers for several organizations, including Kiwanis, Florida Developmental Disabilities Council, StarAbility Foundation, and Naples Community Hospital. These organizations are close to her heart and she enjoys using her knowledge and skills to help her community. Previously Nicole worked with Youth Haven as an in-house case manager, where she assisted the organization with implementing a therapy dog program and created individualized resource referrals for clients. Nicole is also an artist, writer, and blogger. She is an up-and-coming radio host of a show called The View from the Chair, which is broadcast on WGCU from the Florida Gulf Coast University campus, through the radio reading program. Kelly Stevenson-Crews, Golden Apple recipient, has been working as an Exceptional Student Education teacher with Collier County Public Schools for 22 years at Immokalee High School. She previously worked for Middletown City Schools as an ESE teacher and Special Olympics coach for 9 years. Kelly also is the sponsor/coach of Immokalee High School National Unified Champion school where she oversees their Special Olympics sports and leadership program. In 2016 she was named Florida Special Olympics Coach of the Year and in 2017 she was recognized as North America Special Olympics Coach of the Year. Kelly has a Bachelor’s degree from the University of Cincinnati in Special Education. She is a member of Delta Kappa Gamma, Kiwanis and is the sponsor of Aktion Club of Immokalee. Her husband, Steven Crews, is an ESE teacher at Golden Gate Middle School and her son, Guy Hensley recently earned his Master’s degree at Tiffin University in Sports Leadership where he is Assistant Men’s basketball coach. Kelly resides in beautiful Ave Maria with her husband, father and three very active dogs!! Ann Del Pero’s multi-cultural experience includes more than 30 years in the design field as an Interior Architect and Space Planner, a Furniture and Industrial Designer, university professor and design journalist. She has served as a consultant and Design Manager for several international manufacturing companies and has lived in the USA and Europe, working with business clients all over the world. Ann has earned a Bachelor of Fine Arts in Interior Architecture at the Rhode Island School of Design and a Masters certificate in Industrial Design and Design Management at the Domus Academy in Italy. She also holds a Masters in Museum Studies from Johns Hopkins University. 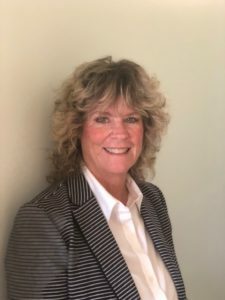 Now living in Naples, FL, and working as an interior designer at Clive Daniel home, she is also an active member of several local organizations including the Women of 239, the Naples Newcomers Club South and the Italian Cultural Association in Naples. She is a member of the Collier Board of Trustees of R.O.O.F. (Residential Options of Florida).